Congress’s nonpartisan budget arm wants you to understand how it crunches the numbers. This year, in a bid for greater transparency, it published unprecedented details of its economic methods at a time when many Republicans are questioning the reliability of the 43-year-old Congressional Budget Office. “Transparency is a top priority for CBO,” wrote Director Keith Hall Thursday in a report that outlined recent efforts to explain economic modeling while analyzing the accuracy of CBO’s past projections. He wrote just three days after CBO published a forecast that might please—at least temporarily—the Trump administration and Republicans touting the recently enacted tax cut. It said real gross domestic product in 2018 is projected to grow by 3.1 percent, or about 0.6 percentage points faster than the pace of growth in 2017. Beginning last January, the House and Senate Budget Committees have held a series of hearings on oversight and possible reforms of CBO, at which director Keith Hall has testified repeatedly. 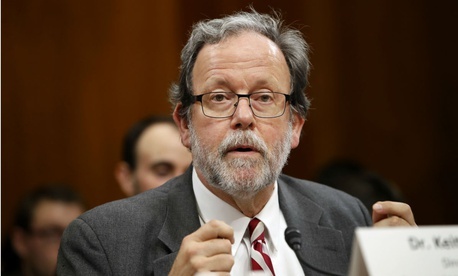 In an interview this week with Government Executive, director Hall (a former Bureau of Labor Statistics commissioner and George Mason University senior fellow picked by Republicans in 2015), denied that the transparency push was a direct response to lawmaker complaints. On Aug. 8, CBO released an in interactive workbook that demonstrates how its analysts project estimates of spending on discretionary programs over multiple years. It also recently released, just as it published a report about Medicaid managed care, a set of files with historical data about enrollment in and spending for Medicaid managed care for each state and eligibility group. And this Wednesday, CBO released an interactive tool for analyzing the military’s force structure, which policymakers can use to mix and match troop or weapons strength to assess the effects of differing policies on budget outcomes. In the politically fraught area of health care, CBO has been readying a specific plan for publicly presenting a revised model for long-term spending forecasting, enlisting feedback from the Bipartisan Policy Center. It might be ready in March, Hall said—for both public and expert consumption.